Welcome to Hochman Family Chiropractic! Located in the heart of Miramar, the leading health professionals at Hochman Family Chiropractic are dedicated to helping you achieve your wellness objectives -- combining skill and expertise that spans the entire chiropractic wellness spectrum. Dr. Ian Hochman is committed to bringing you better health and a better way of life by teaching and practicing the true principles of chiropractic wellness care. 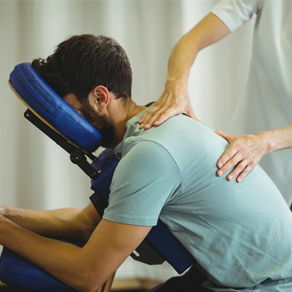 Patients seeking treatment at Hochman Family Chiropractic with Dr. Ian Hochman are assured of receiving only the finest quality care through the use of modern chiropractic equipment and technology. Dr. Ian Hochman and the staff have a genuine concern for your well-being! If you are new to our website, please feel free to discover and learn about chiropractic wellness. If you are interested in starting your journey towards wellness please subscribe to our award winning newsletter. If you are already a newsletter subscriber, please explore the member wellness section of our website for wellness articles, resources, and health facts---specifically targeted by Dr. Ian Hochman to your wellness needs and interests. LET OUR FAMILY HEAL YOUR FAMILY! New patients receive 50% off your choice of Biofreeze or lumbar support. Sign-up using the form or call us at 954-392-2225 to take advantage of this exclusive offer. Dr. Ian Hochman has been freeing people from pain and discomfort since 2003. In January 2009 he opened Hochman Family Chiropractic in Miramar, FL. As a Chiropractor with experience, he is committed to promoting the health and well being of his patients. Dr. Hochman was born and raised in North Miami Beach, FL. He graduated from the University of Florida with a B.S. degree in 1999. "Dr. Hochman is soooooo good. He has such gentle hands and really knows how to give an adjustment. The massages are the best too. If you are at the office at the right time, you can even get a free expresso from Dr. Hochman's father. Rubi is a doll at the front desk." "WOW! Thats all I can say. I love coming to this office. Its not like going to any other doctor. My back pain is gone and hasn't come back. Thank you Dr. Hochman and staff!"